Looking for a residential renovation expert in Brisbane? As a qualified renovation expert, JEB Built can help you to redesign your existing home to better suit your lifestyle and keep the costs within your budget. We understand that as a homeowner you might not want to move – because you live close to your relatives, your children’s school, work, all of your friends and you just love the location. Essentially, you have make a life where you live and you don’t really want to move. The problem is that your home no longer reflects your lifestyle needs, so what do you do? This is where a renovation expert can make a huge difference to your life and to your budget. 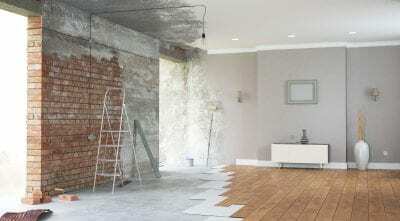 When you think of the costs involved in selling your home and buying a bigger home, just to add another bedroom, home office or to increase the size of your kitchen, it makes far more sense to stay where you are and renovate. A renovation expert can help you to redesign your current home, so that it better reflects your lifestyle needs and increases the value of your home. At JEB Built, we can renovate your entire home, taking it right down to the studs or we can renovate your kitchen, laundry, bathrooms, bedrooms or family rooms. We can redesign the master bedroom so that you have an ensuite and a private retreat, we can give you a home study, a granny flat, convert your garage or add a second story to your home. We can even add an extension or build an outdoor entertainment area for you. What do our renovations include? At JEB Built we give you a comprehensive quote for your renovations with no hidden costs. All of our renovations include a detailed plan, which we finalise with you before we start work. As a full service renovation expert, we also obtain any council permits that are needed, and help you to select colours, designs, layouts and appliances. With JEB Built, you don’t have to worry about your renovations, because we are always on site and we keep in constant contact with you on a daily basis. If you want a renovation expert who produces quality work for a reasonable cost, then you can’t do better than the team of builders and tradies at JEB Built. Call us on 0431 065 019 to chat about your renovation needs or complete our online enquiry form.